Trévo prides itself on its many certifications. Trévo is fully product approved in the countries it is in. Below you can read more on Trévo’s certifications and Dr. Brian Wilmovsky’s praise on the product. 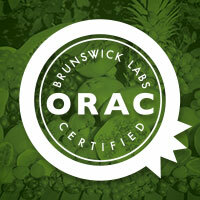 ORAC Certified Tested and certified by Brunswick Laboratories, scoring a phenomenal rating of over 373,000 per bottle. 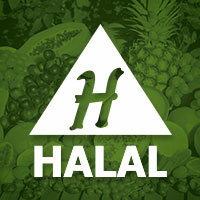 HALAL Certified: A food label is stamped HALAL if the contents of the food conform with Islamic dietary laws. 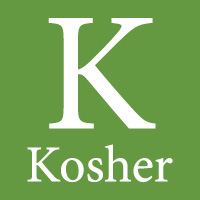 Kosher Certified: An industrial Kosher certification allows Trévo to be available for everyone to consume, regardless of religious affiliation. CAP-e Certified Cell-based Antioxidant Protection in Erythrocytes (CAP-e) testing is the latest in cutting-edge antioxidant measurements. Vegetarian: Trévo’s all-natural blend is 100% vegetarian, making it a wonderful nutritional option for nearly everyone, regardless of diet! 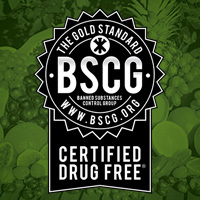 Certified Drug Free: Trévo has been given the certified drug free seal by BSCG, the leader in supplement and certification testing. Dr. Brian Wilmovsky is a Certified Chiropractic Wellness Practitioner who is National Board Accredited and licensed in both California and Washington. He currently has a busy private practice in Olympia, Washington. 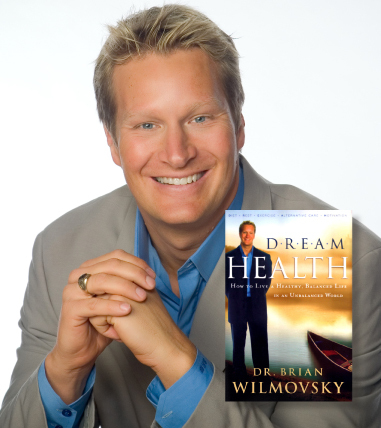 Widely recognized as one of the nation’s leading experts in achieving natural whole health, Wilmovsky is the best-selling author of Dream Health – How to Live a Healthy, Balanced Life in an Unbalanced World and is a frequent guest lecturer at the internationally-recognized Life West Chiropractic College. He is also a familiar guest wellness expert on a variety of national as well as international television programs including the Trinity Broadcast Network and DayStar. Wilmovsky received his degree as a Doctor of Chiropractic from the prestigious Palmer College of Chiropractic in 1990, where he was honored as member of the Dean’s List. Prior to attending Palmer College of Chiropractic, Wilmovsky also attended Centralia College where he received an Associates of Science degree in 1987. Wilmovsky has applied this time-honored principle to his life with great success. A Washington native, Wilmovsky enjoys spending time at home with his wife and their two children. Neither of their children has ever had a single prescription or inoculation in their lifetime. As for Wilmovsky and his house, they are “living the dream” that is DREAM Health in accordance with God’s design. “Trévo gives your body the full spectrum of the nutrients that it needs for optimum health. You might wonder just what I mean by “optimum health” when it comes to the way your body functions. To my way of thinking, it’s a combination of elements that add up to more energy, a healthier body, and a good mental attitude. When your body achieves this kind of wholeness, it is more able to protect and heal itself naturally. And when wholeness is the goal, instead of merely addressing pain and disease, your body naturally moves toward health all by itself. “In today’s fast-paced society, fast food and “meals on the run” are a way of life for millions of Americans. Unfortunately, our health as a nation is showing the devastating effects of this lifestyle. Even though the United States is the richest country on the face of the earth, it suffers from nutritional deficits and proliferating ailments. We eat until we are well past full, yet our bodies are starving for the nutrients that are woefully missing from the typical American diet of fat- and preservative-laden fast food meals. 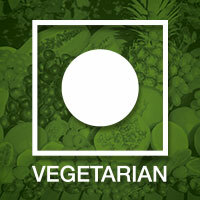 We simply are not getting the minerals, vitamins and phytonutrients that our bodies require. Intelligent supplementation has become a necessity for a healthy lifestyle. “That is why I am such a strong proponent of Trévo. I have never seen a liquid nutritional formula that is so completely absorbed into the gastrointestinal tract or that works as well as this product does. Most of us know that the American Medical Association recommends that everyone take a multi-vitamin supplement. Again, the reason for this is that none of us are getting what we need from the foods we eat. But knowing what kind of supplement is best for one’s age group and individual needs can be extremely confusing. If you ever go down a store’s vitamin aisle, you will notice that there are vitamins for every age group. There are children’s vitamins, vitamins for teens, vitamins for women and for men, vitamins for seniors, and even vitamins for just about every health focus you can imagine. “The beauty of Trévo is that, because it is so naturally bio-available, practically all of its nutrients are absorbed. Your body takes everything it needs and puts it all to work. And best of all, because of the way it is designed it will work just as well for a 2-year-old as it will for adults of all ages. I have found that when I start my day with two ounces of Trévo, it gives me the sustained energy I need. “Even more important is the fact that, with Trévo, I don’t worry about ”crashing” from an energy standpoint. I stay alert both mentally and physically throughout my entire day, no matter how long that day is. Remember, your body is designed for you to be alert all day, to be able to meet the challenges of each day and Trévo helps your body achieve that fresh balance. “Trévo never gives you a high-octane buzz or sugar-saturated rush. What it does do, however, is allow your body to do what it should do normally. What it was actually created to do. So you feel better and function better … naturally. Trévo’s Director of Product Development recently sat down with Dr. Brian Wilmovsky to discuss a variety of health topics, including the nutritional benefits of Trévo’s flagship liquid nutraceutical product. We invite you to listen in as Dr. Wilmovsky shares his insight on topics such as prescription drugs, mental focus and the health challenges we face today, as well as how Trévo offers positive support for your family’s health. As you listen to this dynamic interview, you will begin to grasp the fact that Trévo is not just another multi-vitamin, nor is it just another fruit juice. Much more than a juice drink; Trévo is unparalleled antioxidant super-nutrition. The results are in! 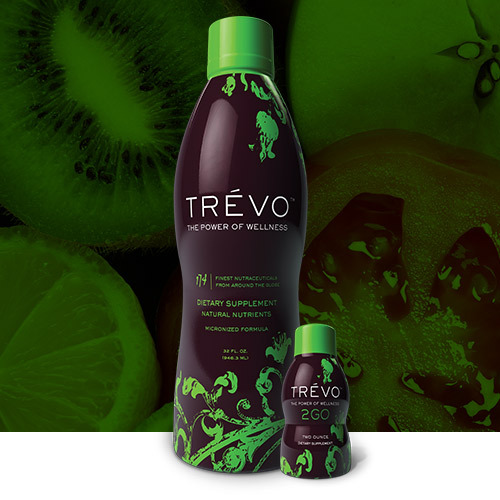 With astonishing ORAC and CAP-e antioxidant testing results, Trévo has, once again, confirmed that its nutrient-dense formula is in an entirely separate category far and above juice drinks or other types of nutritional products. Trévo is the one nutritional product you need for vibrant, long-lasting good health. Want to feel better, look younger and live longer? According to research, if you are not getting at least 4,000-5,000 ORAC units of antioxidant-type nutrition per day in your body, you are quickly losing the battle of the aging process, including the increased risk of a significant list of chronic diseases that have been directly linked to free radical damage. In fact, chronic inflammation at the cellular level is the underlying cause of most of today’s significant diseases. However, not all antioxidant products are created equal. ORAC stands for Oxygen Radical Absorbance Capacity and it is the standard method used in measuring antioxidant capacities of different foods. Through implementation of the very latest in nutraceutical technology, Trévo’s previous ORAC rating of 72,000 per bottle has been elevated to a phenomenal rating of over 373,000 per 32 ounce bottle! That’s nearly 12,000 per ounce! This record-breaking score has been tested and confirmed by the scientists at the world-renowned Brunswick Laboratories. This remarkable score is drastically higher than the vast majority of “name brand” antioxidant products – including any “juice drink” product on the market. Additionally, we are a member of Brunswick Laboratories’ Certification program. So when we say that Trévo’s ORAC score is over 373,000 per bottle, it really is a certified fact. 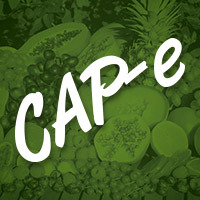 What about CAP-e testing? Cell-based Antioxidant Protection in Erythrocytes (CAP-e) testing is the latest in cutting-edge antioxidant measurements. (Erythrocytes is the scientific term for red blood cells) CAP-e testing demonstrates whether natural products contain antioxidants capable of protecting live cells from free radical damage. When a protective effect is seen in the CAP-e testing, it shows a biologically meaningful antioxidant protection by the product. The results of Trévo’s CAP-e testing are particularly exciting in the fact they show how quickly and effectively its antioxidant benefits manifest on a cellular level. In testing Trévo, NIS Labs found that the antioxidant nutrients in just one-half ounce of Trévo are powerful enough to start providing measurable cellular protection! Why are antioxidants essential to your health? Whether you know it or not, your body is being constantly attacked by very harmful substances known as free radicals. You can not see them, smell them or touch them, but they are always there, trying to destroy your cells, tissues and organs. In a nutshell, free radicals are atoms or molecules that contain unpaired electrons. Since electrons have an extremely strong tendency to exist in a paired rather than an unpaired state, free radicals indiscriminately pick up electrons from other atoms, which in turn converts those other atoms into secondary free radicals. This sets up a chain reaction which can cause substantial biological damage – damage such as premature aging and a large number of debilitating diseases. When this reaction is uncontrolled, it can generate millions of free radicals within seconds – damaging key enzymes, cell membranes and even the chromosomes that store our genetic material (DNA). Free radicals have been implicated in most known diseases of mankind, but especially in the chronic, degenerative diseases associated with the aging process. According to The New York Times, free radicals can be linked to over 60 chronic, debilitating diseases. * They can also cause severe reduction in cell function, DNA damage and even the premature death of a cell. Fortunately, our bodies have a built-in free radical fighting mechanism known as the antioxidant defense system which is comprised of specialized enzymes. In order to protect our bodies, however, these enzymes need help from antioxidant nutrients. These antioxidants protect the cells of your body against free radical damage by providing a layer of protection for the cells and tissues of the body; much like a fresh coat of wax helps protect a car’s finish. Pure, positive wellness on a cellular level. The bottom line is that the super-antioxidant power of Trévo is quickly absorbed into the cells of your body, protecting cellular health and extending the life of cells. This effectively helps to prevent premature cellular death as well as chronic cellular inflammation. The result? Vibrant good health, increased energy, enhanced mental focus and improved longevity. In other words, feeling better, looking younger and living longer! That’s the power of wellness … that’s the power of Trévo.